The Saint, The Acolyte, The Artisan and I along with a few friends headed on over to Naked City last night for the Big Time brewer's night. Big Time was offering a cask amongst other things. The question of the night, which was posed to The Saint, "What qualifies as a cask?" 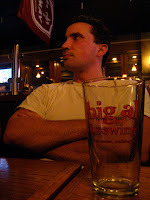 His response: Cask beer is beer served directly from the vessel in which secondary fermentation takes place. It is common practice for breweries to treat their beer before bottling or kegging (and I would guess before placing it in bright tanks as well) to reduce the amount of yeast present. This is done in an effort to increase the stability and shelf-life of the beer. 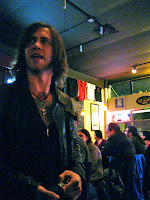 Tom Cizouskas has done a lot of great work advocating ales which are "living." You can read more about these "living" beers which he prefers to call "Real Ale" at the CAMRA website (http://www.camra.org.uk). 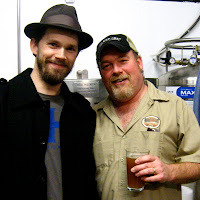 Follow Tom and his antics at his blog entitled "Yours for Good Fermentables." 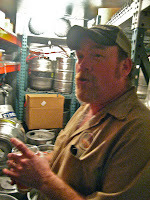 Don, one of the proprietors of Naked City, was nice enough to show us around his brewery. He enthusiastically answered all of our questions about his setup. One of the more notable pieces was his 300,000 BTU heating system. It was a good time having Don give us the tour and talk shop. 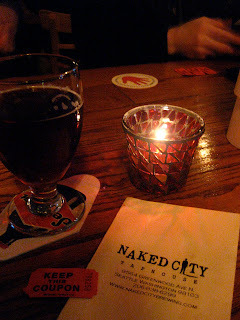 Of the beers that Naked City brews, we tried the Brother Orchid Belgian Brown and the DeSantis Belgian Red. Both beers were delicious and I sure would be proud if I could brew something like that. 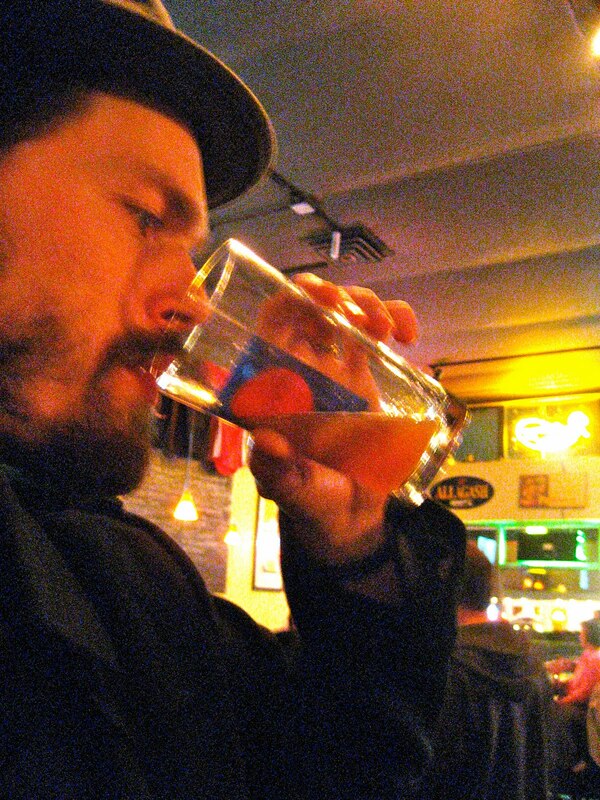 We also met a good bloke and fellow brewer, Matt, whose blog can be found here. Meeting Matt gave the Saint and I the idea to do a weekly feature highlighting a specific homebrewer. Hopefully, you will see these as a regular installment on catholicbeer.com in our unparalleled desire to support the little man (and his beer). answer me this, what is a belgian red? anyone...?